For a moment, imagine yourself waking up dazzled by your new-found wealth. You own a marvelous mansion. You have a collection of the finest cars. You have acquired a billion dollar company, and best of all, you’re just 35 years old. What’s left to do? Besides giving away some of your money to charity, you can travel around the world. Meet people from various cultures, seek new sights and adventures, and shop til you plop. But before you set out on an imaginary trip, here’s a nifty list of 10 crazy expensive travel items the rich and famous (including the hypothetical you) would pack in their bag. A $400 swiss army knife has as many as 80 functions. You can get stranded in the Amazon rainforest for a week and still survive using this brilliant invention. 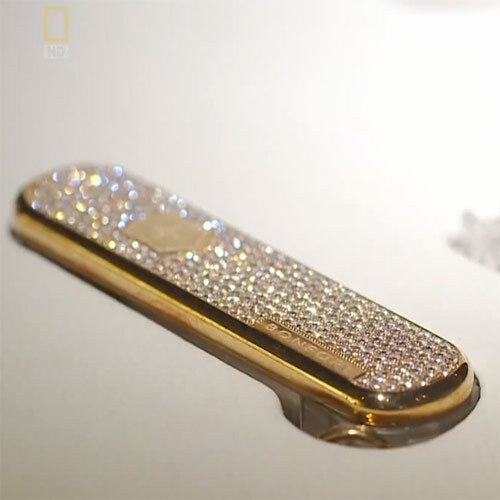 But while shopping for Victorinox swiss army knives, you saw a shiny one with a handle made of gold and encrusted with 800 diamonds. You decided such beauty was worth the price of 130,000 euros so you ordered a piece and excitedly took off. In your utter amazement of this luxurious knife you fail to consider the fact that it’s practically useless. You can’t even cut bread or cheese with it. But stinking rich as you are, you’re after ‘fashion before function’ because you can always afford to buy countless functional versions, if you like. Most travelers are happy to use the free toothbrush hotels provide. But a millionaire or billionaire like you is no ordinary traveler. You won’t be satisfied with less than the best dental hygiene tool. 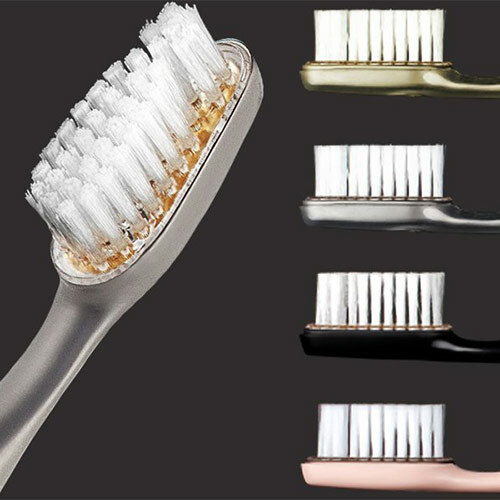 Only a toothbrush made of titanium can make your teeth truly happy: the Reinast Luxury Toothbrush. It’s yours to keep (and use) forever for $4,200. This toothbrush comes with a replaceable bristle head so it can really last a lifetime for a small extra cost. Replacement service plans are available for five years ($400), seven years ($800), and 11 years ($1,600). No toothbrush can last long, but this one can! How awesome it that! Like any wealthy globetrotter, you’re used to cashless transaction so you don’t forget to carry a credit card all the time. You also probably know that kind of credit card you carry says a lot about your lifestyle. 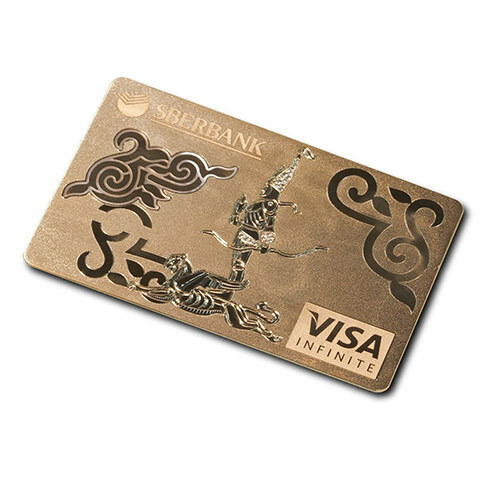 So it won’t be a surprise that you own a $100,000-worth Visa Infinite Exclusive credit card issued by Sberbank Kazakhstan. The most expensive credit comes with a host of attractive benefits. Perks of using the card include more travel miles, exclusive access to airport lounges worldwide, hotel and restaurant discounts, car hire, and more. That’s a pretty seductive bargain! As a millionaire, technology is your slave. You can find your way around a new place with a quick call to your GPS assistant. But this convenient navigator cannot replace your quirky fascination for collecting maps, old maps at that. 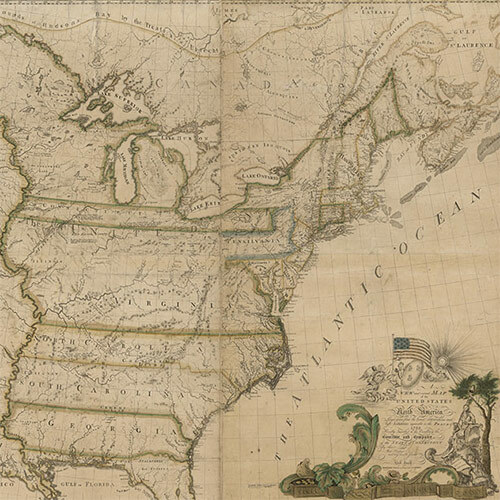 Of seven earliest known USA maps (made in 1784), one got sold for an astronomical price of $2,098,500 (£1,345,138). That’s how much the anonymous bidder paid to guarantee that the outdated US map would fall into his hands. What’s so special about this old piece? Maybe there’s a secret hidden in it that only the wealthy knew about. If you belong to their circle, you might have a clue and you’d want to bid for the remaining six maps. Without a snap in a tourist destination, the trip never happened. The affluent bunch splurge on the most advanced camera to capture their glamorous globetrotting moments. You think they would buy an uber expensive,high-performance digital camera? You’d be wrong to assume that. 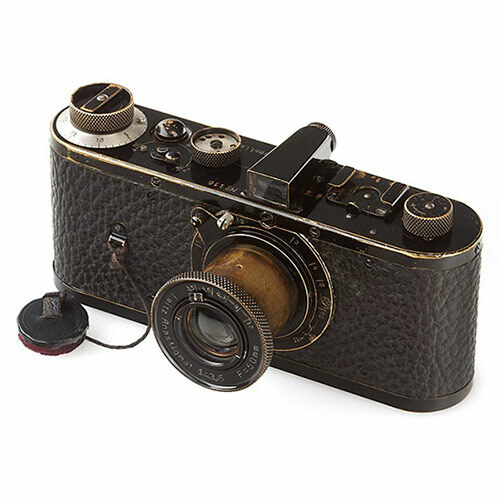 The world’s most expensive camera is none but the humble Leica 0-Series made in Germany. Why would a vintage (yet fully-working) camera attract a wealthy, sane person to buy? As the story goes, only about 25 pieces of this model were created in 1923 for the sole purpose of testing the market. Such valuable history convinced a deep-pocketed buyer to fork out $2.4 million (2.16 million euros) for it. If you were not the anonymous bidder who took it home last 2012, then maybe you can try your luck in the next WestLicht Auction. It’s not enough that you’re wearing the costliest sunglasses, you need to carry around an umbrella of a similar caliber. Even wealthy men forget to pack the umbrella fit for their needs (and status). So if you need a reminder, Flavio Briatore and Angelo Galasso created a luxurious umbrella to protect you, rain or shine. Girls, move aside, this snazzy accessory belongs to men. 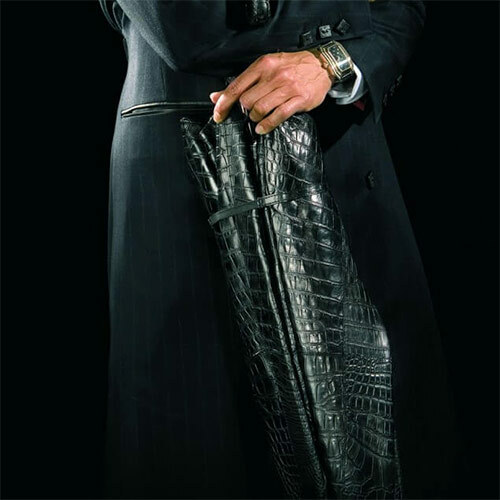 Created from pricey materials and rare crocodile skin, this special umbrella will set you back at $50,000. You don’t think 50 grand is an inordinate sum of money for classy weather protection, do you? If you decide to buy it, try to hide it from strong winds if you can. Sunglasses have obviously become a symbol of social status so elite travelers often choose the most expensive ones to make a statement. 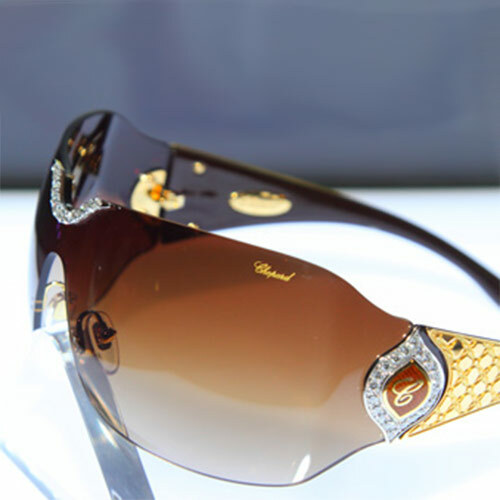 Prada and Chanel are not the reigning brands in eyewear luxury but Chopard. It has a pair of diamond and gold encrusted sunglasses with a mind-numbing price tag of $408,379.97. The glitzy eyewear was exhibited in the swankiest shopping districts of Dubai in 2012. Rumor has it that the sunnies are still on display. You can still tick off ‘travel to shop for the world’s most expensive sunglasses’ from your bucket list. Whether you’re an audiophile or not, you’d appreciate the best-sounding headphones on a long-haul journey. But fantastic audio comes at a price and a hefty one at that. 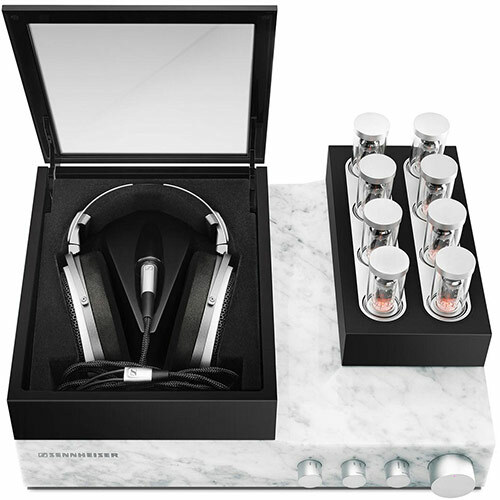 Worth a whopping £30,000 or about $44,000, the most expensive headphones (also the best-sounding one) ever unveiled are the Orpheus headphones. They only make 250 pieces of this a year and each set looks as stunning as its staggering price tag. The sound quality is also quite impressive. According to the maker, these headphones could detect frequencies way beyond the human’s range. Think of sound waves picked up only by elephants and bats. With your millions, you can choose to travel in utmost comfort and style. 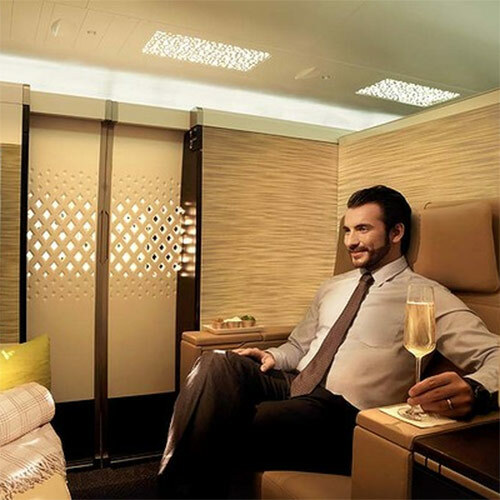 At a modest price of $80,000, you can fly from Melbourne to London and back aboard the most luxurious carrier ever made: the Etihad Airbus A380 or ‘The Residence’. Forget about cushy first-class cabin or teeny-tiny apartment above the clouds; The Residence pushes the boundaries of luxury in air travel. One ticket purchase grants you a ritzy hotel room in the sky plus complimentary limo transfers, swanky lounge access and exclusive check in. What more could you ask for? A handset is an indispensable source of entertainment when you’re traveling. You can also track your business and keep in touch with your loved ones wherever you are with a smartphone. But being rich and (likely) famous, you have a need that most phones fail to address: privacy protection. 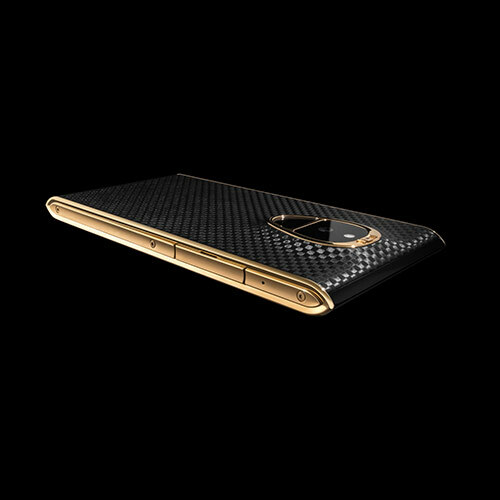 That’s a problem Sirin Labs, a tech startup from Israel, has tried to solve with Solarin Fire Black Carbon Titanium. At about $17,000, you can enjoy a mobile phone with sound, camera, and overall performance no other phones in the market can match. Besides these amazing features, your email, text messages, calls and cyber life are protected with Solarin’s military-grade security technology. So the only real question is, how much is your privacy worth? The Highest-Paid Musician of 2016 is a Lady. Hurrah! Here’s a peek at three hugely popular, crazy expensive bikinis of all time.